China is a nation with ancient culture and heritage. Unlike many other nations, almost whole of China was under a single authority for many centuries. Several dynasties ruled China like Xia, Shang, Han, Tang etc. The last dynasty which ruled China was Qing Dynasty (also known as Manchu Dynasty). Manchu Dynasty ruled China from the period 1644 to 1912. After that, there were intermittent times of dictatorship, a civil war between Kuomintang and the Communist Party, before Communist Party established the People Republic of China in 1949. Let’s trace the major events in China’s history. The Boxer Rebellion or Yihetuan Movement was a violent xenophobic and anti-Christian movement which took place in China towards the end of the Qing dynasty between 1898 and 1900. It was initiated by the Militia United in Righteousness (Yihetuan), known in English as the “Boxers”, and was motivated by proto-nationalist sentiments and opposition to foreign imperialism and Christianity. The Great Powers intervened and defeated Chinese forces. The Xinhai Revolution in 1911 brought widespread mutiny across southern China. Widely known as Chinese Revolution (1911–12), the nationalist democratic revolt that overthrew the Qing (or Manchu) dynasty in 1912 and created a republic. Xinhai Rebel troops established a provisional government in Nanjing the following year under Sun Yatsen. A provisional republican government was established. 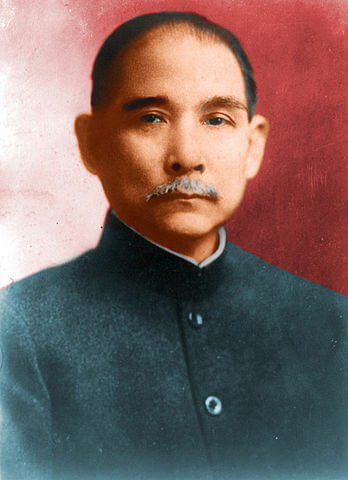 Dr.Sun-Yat-Sen became the President in Nanjing. It lasted only for a few months. Sun Yat Sen resigned giving charge to the General Yuan Shih Kai. Yuan Shih Kai was a minister under the Manchu Dynasty. He contrived to make himself president for life and then boldly announced a new imperial dynasty with himself as emperor in 1915–16. He ruled from Beijing. The Warlord Era was a period in the history of the Republic of China when the control of the country was divided among its military cliques in the mainland regions. The First United Front (also known as the KMT–CPC Alliance) of the Kuomintang (KMT) and the Communist Party of China (CPC) was formed in 1923 as an alliance to end warlordism in China. Together, they formed the National Revolutionary Army and set out in 1926 on the Northern Expedition. The CPC joined the KMT as individuals, making use of KMT’s superiority in numbers to help spread communism. The KMT, on the other hand, wanted to control the communists from within. Both parties had their own aims and the Front was unsustainable. In 1927, Nationalist Field Marshal (Generalissimo) Chiang Kai-shek purged the Communists from the Front while the Northern Expedition was still half-complete. This initiated a civil war between the two parties which lasted until the Second United Front was formed in 1936 to prepare for the coming Second Sino-Japanese War. The Northern Expedition was a military campaign led by the Kuomintang (KMT) from 1926 to 1928. Its main objective was to unify China under its own control, by ending the rule of Beiyang government as well as the local warlords. It led to the end of the Warlord Era, the reunification of China in 1928, and the establishment of the Nanjing government. The Nanjing decade or The Golden decade was the decade from 1927 (or 1928) to 1937 in the Republic of China. It began when Nationalist Generalissimo Chiang Kai-shek took the city from Zhili clique warlord Sun Chuanfang halfway through the Northern Expedition in 1927. He declared it to be the national capital.The expedition continued until the rival Beiyang government in Beijing was defeated in 1928. But at the same time, there was Chinese Civil War between the Chinese Nationalist Party (Kuomintang) and Chinese Communist Party. The Chinese Civil War which began with the purge of communists in 1927 would continue until the forming of the Second United Front in December 1936. During this period, the Nationalists tried destroying the Communists by using Encirclement Campaigns. The failure of the early Communist strategy of urban warfare led to the rise of Mao Zedong who advocated guerrilla warfare. The Second United Front was the brief alliance between the Chinese Nationalists Party (Kuomintang, or KMT) and Communist Party of China (CPC) to resist the Japanese invasion during the Second Sino-Japanese War, which suspended the Chinese Civil War from 1937 to 1941. The Chinese Civil War was fought between forces loyal to the Kuomintang-led government of the Republic of China, and forces loyal to the Communist Party of China (CPC). 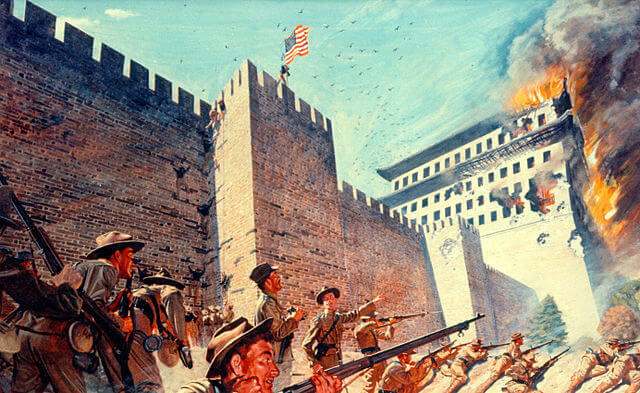 The war began in August 1927, with Chiang Kai-Shek’s Northern Expedition, and essentially ended when major active battles ceased in 1950. The conflict eventually resulted in two de facto states, the Republic of China (ROC) in Taiwan and the People’s Republic of China (PRC) in mainland China, both claiming to be the legitimate government of China. The war represented an ideological split between the Communist CPC, and the KMT’s brand of Nationalism. The civil war continued intermittently until late 1937 when the two parties came together to form the Second United Front to counter a Japanese invasion. China’s full-scale civil war resumed in 1946, a year after the end of hostilities with Japan. After four more years, 1950 saw the cessation of major military hostilities, with the newly founded People’s Republic of China controlling mainland China (including Hainan), and the Republic of China’s jurisdiction being restricted to Taiwan, Penghu, Quemoy, Matsu and several outlying islands. 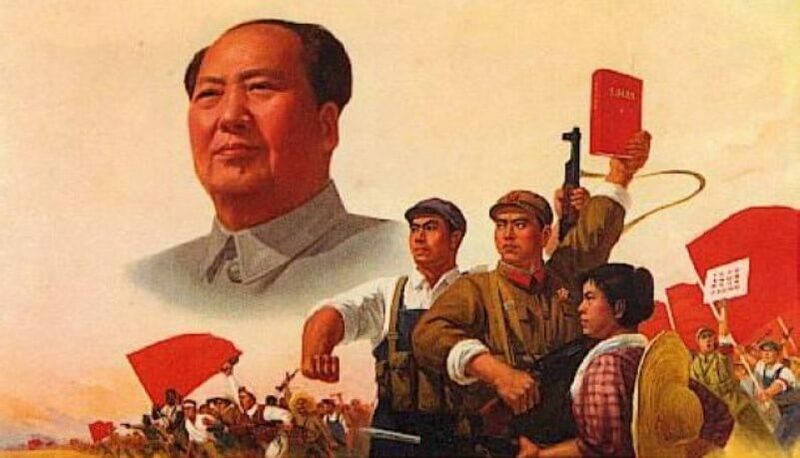 The Chinese Communist Revolution or The 1949 Revolution was the culmination of the Chinese Communist Party’s drive to power since its founding in 1921 and the second part of Chinese Civil War (1946–1949). In the official media, this period is known as the War of Liberation. The major black marks on PRC after 1949 are mass killing that happened with Cultural Revolution (1966-1976) and Tiananmen square Protests. The Great Proletarian Cultural Revolution, commonly known as the Cultural Revolution, was a social-political movement that took place in the People’s Republic of China from 1966 until 1976. Set into motion by Mao Zedong, then Chairman of the Communist Party of China, its stated goal was to preserve ‘true’ Communist ideology in the country by purging remnants of capitalist, and traditional elements from Chinese society, and to re-impose Maoist thought as the dominant ideology within the Party. The Revolution marked the return of Mao Zedong to a position of power after the Great Leap Forward. The movement paralyzed China politically and significantly affected the country economically and socially. 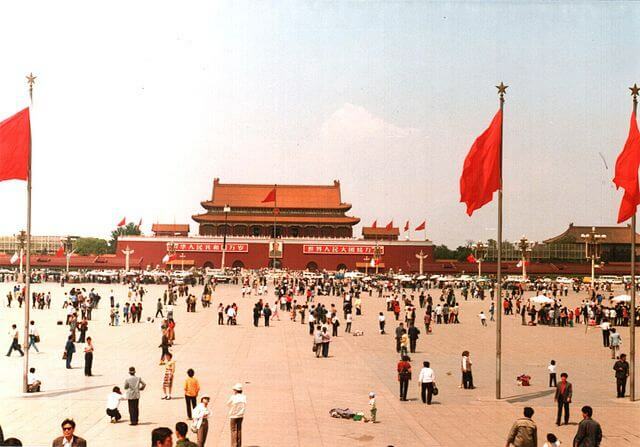 The Tiananmen Square protests of 1989, commonly known as the June Fourth Incident or ’89 Democracy Movement were student-led popular demonstrations in Beijing which took place in the spring of 1989 and received broad support from city residents, exposing deep splits within China’s political leadership. The protests were forcibly suppressed. The crackdown that initiated on June 3–4 became known as the Tiananmen Square Massacre or the June 4 Massacre as troops with assault rifles and tanks inflicted casualties on unarmed civilians trying to block the military’s advance towards Tiananmen Square in the heart of Beijing, which student and other demonstrators had occupied for seven weeks. 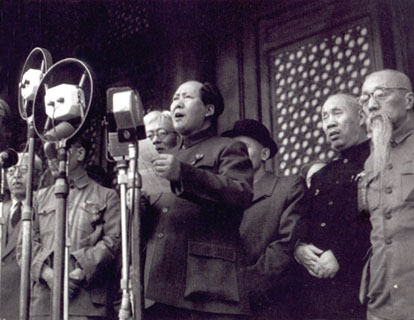 1949–1976: Socialist transformation under Mao Zedong. 1976–1989: Economic reforms under Deng Xiaoping. 1989–2002: Economic growth under the third generation.